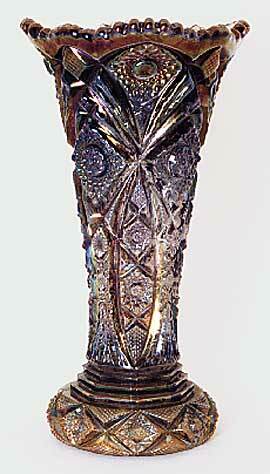 Not many of these 10-inch tall vases around, at least in the original version. A smoke example brought $215 in 2008. 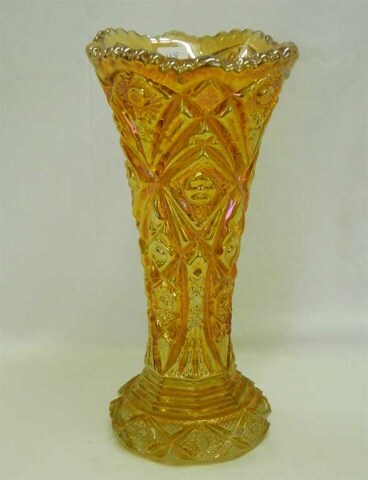 Marigold vases sold for $100 in 2009 and $20 in 2014. Be aware that they were widely reissued by Imperial and most of the examples you will see will be the contemporary ones.